Are you ready for a bustling Asian metropolis with British colonial architecture, highly modern buildings, great eats and shopping opportunities that will make your heart beat faster? Is wandering around randomly and eating your way through a city what you like? 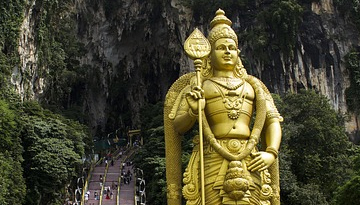 Then, Malaysia's capital is one of the travel destinations you absolutely must check out. With direct flights from London to Kuala Lumpur and countless connecting flights from most regional airports, it is relatively easy to book cheap flights to Kuala Lumpur and enjoy a modern city, which stands in stark contrast to its traditional Malaysian suburbs and offers the best from both sides. Founded in 1857, Kuala Lumpur is a very new city, which is particularly famous for its shopping and food culture. Its Petronas Towers used to be the tallest buildings in the world and still remain the tallest twin towers in the world. Best book your tickets to access the observation deck online to skip the queuing. These towers are truly beautiful, and they provide a stunning view over the city. Other architectural must-sees are the Thean Hou Temple, the Sri Maha Mariamman Temple, and the Sultan Abdul Samad building. For lovers of art, we highly recommend a visit to the Islamic Arts Museum with its great exhibits. However, as mentioned above, Kuala Lumpur is most famous for its eating and shopping. Hence, Jalan Alor should be on the top of your bucket list. It is only open in the evening but full of great food places! For shopping, Bukit Bintang is particularly recommendable. If you are mainly into the nightlife, the Golden Triangle north of Jalan Pudu, south of Jalan Ampang and west of Jalan Imbi and Jalan Tun Razak is where you want to be. Should you for once have had enough of the tumultuous city, just head into the Perdana Botanical Garden to take a walk and relax. Other than that, there exist several interesting sites just outside the city. The Kuala Gandah Elephant Conversation Centre is the go-to place for those who want to see elephants. A little bit further from Kuala Lumpur, you will find the cities of Malacca and George Town, which both are UNESCO World Heritage sites! Particularly the later one is known to be a foodie paradise and close to great beaches. Due to being a well-developed city, it is really easy to get around Kuala Lumpur. The monorail and light rail lines both lead into the Golden Triangle and so do most of the bus lines. As Kuala Lumpur is hot all year round, there is no best season or month to visit this city. The dry season lasts from May to September, so that's the best time to head to the Malaysian capital weather-wise. However, even in monsoon season, the rain tends to last for not more than an hour. 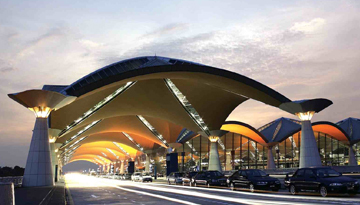 Best Emirates flights to Kuala Lumpur from Heathrow with return economy class fares at £479*. 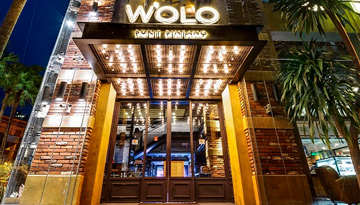 Wolo Bukit Bintang is an ideal place to stay with rooms are both modern and comfortable. Fly from London - Kuala Lumpur & Stay for 6 nights with 5 star accommodation. Room Only.